Simply digging a hole and planting your new trees is not nearly enough. New trees need extra care until their root systems are more established. Simply digging a hole and planting your new trees is not nearly enough. Your new trees need much more than that from you. The first few months after you plant new trees is an important time in your new trees life, and you need to do everything you can to make sure they grow properly. To best care for your new trees, follow these planting and caring tips to ensure they reach their maturity properly. When it comes to caring for new trees, the importance of water cannot be quite understated. Your new trees need plenty of water to help them continue to grow. Since the roots are still establishing themselves at this time, you will need to provide them with plenty of water to properly care for them. To best water your new trees, you will want to make sure the water reaches far enough down to reach the deepest roots of the tree. The best way to do this is perhaps with a drip system to keep the ground around the tree moist that will also sink to as far down as they need to for the new trees. Another important tip for properly caring for new trees is to help manage pest control for them. Pests can easily eat away at new trees, especially around their leaves, causing them to be unable to receive all the nutrients they need. The best way to handle pests is spraying safe pesticides to protect your new trees. You also have to worry about rodents who want to eat the sweet bark found on new trees. To help keep your new trees from being eaten, consider purchasing tree guards and wrap them around your new trees. The best way to plant and care for new trees is with the assistance of professionals. It is easy to damage new trees, especially because of how difficult they are to maneuver with. Professionals know what they are in for and are perfectly capable of planting new trees with ease. 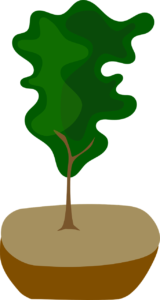 They can make sure new trees are planted correctly, and even if they are planted crooked, they know how to straighten them out. Additionally, professionals can perform check-ups for your new trees to make sure they are truly healthy and do not just look like it. This entry was posted on Thursday, August 23rd, 2018 at 2:07 pm. Both comments and pings are currently closed.